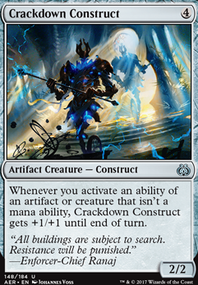 can you sacrifice an idestructible creature? What happens if you flash in Darksteel Mutation in response to the activation of Wandering Fumarole? 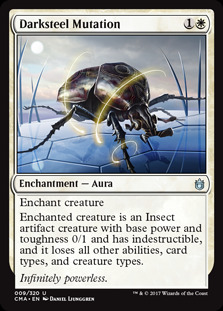 Enchanted creature is a 0/1 Insect artifact creature with indestructible and loses all other abilities. Yes I have to agree that Midnight Guard is way two situational now that I look at it. It only goes infinite with Presence of Gond and that is way to narrow for the 2/3 stat line that he offers. 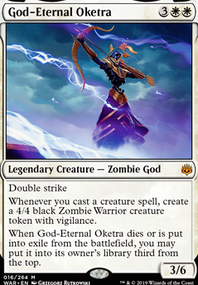 There is also a couple voltron decks in my play group, so I will have to deal with commander damage at some point. I'll switch out Midnight Guard with Darksteel Mutation since I have a copy. 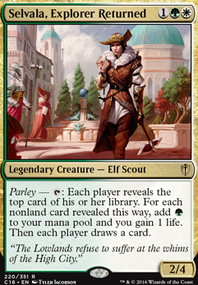 I'll look into getting a copy of Conclave Tribunal , Ixalan's Binding , or Might of the Masses to replace Griffin Protector . I like Might of the Masses because of the modular nature. The deck comes in today, so I'll be back with updates from actually playing the deck! I agree with rangers. The big weakness of lifegain decks is commander damage. Something like Aurelia, the Warleader is rough for this deck to overcome, so Darksteel Mutation and Ixalan's Binding are both solid includes. I really like Autumn-Tail, Kitsune Sage in enchantress builds because Autumn-Tail doesn't target creatures. 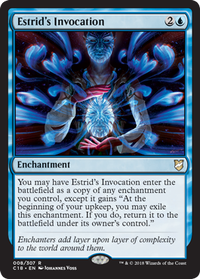 Lets you put a Darksteel Mutation on a Narset, Uril or some other pesky commander with hexproof.